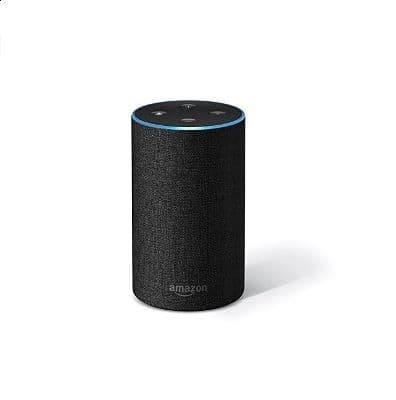 Amazon has grasped the importance of the Indian market and launched all the three variants of its intelligent voice controlled device Echo during Amazon Great Indian Festival. The smart devices are equipped with Amazon’s home grown assistant Alexa which can assist you in your daily chores with the help of simple voice commands. The Echo Dot, the standard Echo and Echo Plus are available exclusively on Amazon India by invitation. You can visit the product pages and request an invitation. Once you are approved by Amazon you shall be sent an invite via e-mail in the coming weeks to purchase an Echo device. If you are an early adopter you shall get 30% discount applied at checkout. All the three devices also come with free 1 year Prime membership. Unlike other home assistants who have their services exclusive to the country they originated in, Amazon Echo has made efforts to fit in Indian market. Amazon has expanded the Alexa Skills Kit and Alexa Voice Service to work with Indian brands. For example you can hail an Ola Cab, order food though Zomato, make a travel search with GoIbibo, stream songs from Saavn, obtain news from Indian news outlets like Times of India and NDTV, ask for the latest cricket score from ESPNCricInfo and a lot more. The biggest reveal about Echo capabilities came with the reveal of Amazon Prime Music. Amazon Music India Director Sahas Malhotra was quoted saying that Amazon Echo buyers will be the first users to try out Amazon’s music streaming service and this will be rolled out to other Prime members in India in the coming months. Amazon informs that Bollywood and regional songs have already been added to the catalogue. 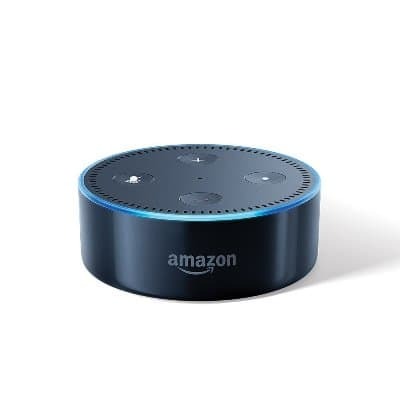 The first device in the Echo series is the Echo Dot. This hockey puck sized device costs Rs. 4,499 has a tiny speaker to work as an alarm clock or reply your answers. For music you might want to hook it up to your speakers or headphones via auxiliary cable or Bluetooth. If you want decent speakers to go with your Echo you may want to invest in the standard Echo that costs Rs. 9999 which comes with a 2.5inch woofer and 0.6inch tweeter. Finally if you have lot of connected devices you would want to set your eyes on the Echo Plus which costs Rs. 14,999 and comes with built-in smart home hub and much more powerful speakers. 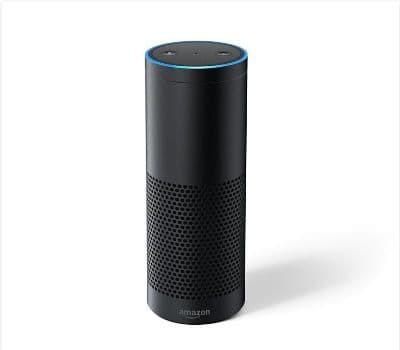 All the Echo devices require Wi-Fi and Alexa app to setup and work. All Echo devices come with seven microphones with beam-forming technology and noise cancellation. This means even when your room is noisy or you are playing music it will still recognise your voice. With Amazon Echo launch, the e-commerce giant has managed to kill any completion from Apple’s HomePod which is more expensive than the most expensive Echo device. Additionally Echo devices have support for services that are relevant in India. Moreover Amazon isn’t pushing its own streaming service as default as you set access to other local streaming services like Saavn. Echo could disrupt the market but the question remains, how many people are willing to adopt smart speakers in their homes.